ZoomRx joined Watsi on December 3rd, 2013. 32 other people also joined Watsi on that day! ZoomRx's most recent donation traveled 8,500 miles to support Chemwaka, a man from Kenya, to fund fracture repair surgery. ZoomRx has funded healthcare for 202 patients in 12 countries. Chemwaka is a man from Kenya. Recently, he sustained a wrist fracture. 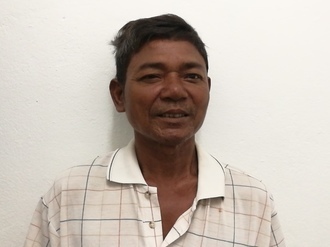 Though he was unable to receive treatment from his local hospital, he was referred to our medical partner for help. Now, Chemwaka is scheduled to undergo fracture repair surgery on Mach 29. He needs help raising $763 to fund this procedure. Roth is a 56-year-old motodop driver from Cambodia. He has two daughters and in his free time he likes to watch boxing on television. Six months ago, Roth developed a cataract in each eye, causing him blurry vision and irritation. He has difficulty seeing things clearly, recognizing faces, and going anywhere outside. When Roth learned about our medical partner, Children's Surgical Centre, he traveled for one hour seeking treatment. On March 20, doctors will perform a small incision cataract surgery and an intraocular lens implant in each eye. After recovery, he will be able to see clearly. Now, he needs help to fund this $398 procedure. He says, "I hope that after my surgery, I am able to see clearly and go back to my work as a motodop." Noah is a boy from Kenya. He loves going to school and playing with his friends. In March, Noah fell into a ditch while playing. He fractured his right forearm. Now, he needs to undergo surgery to repair the fracture. Fortunately, surgery is scheduled for March 15. However, Noah's father cannot afford the cost of the procedure. Our medical partner is requesting $763 to fund Noah's surgery. Noah says, "I just want to go back to school and still play with my peers without feeling any pain." 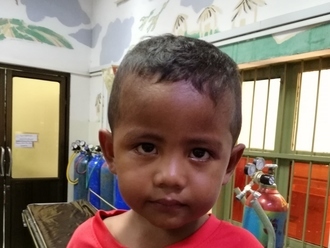 Vanna is a three-year-old boy from Cambodia. He enjoys playing with his cousins and his toys, as well as watching television. Two months ago, Vanna fell down on the floor and fractured his left elbow. He has pain everyday and is unable to bend or use the full motion of his arm. Fortunately, surgeons at our medical partner, Children's Surgical Centre, can help. On March 12, Vanna will undergo a fracture repair procedure, which will cost $430. This procedure will help to realign Vanna's elbow joints, allowing for him to move his arm freely and without pain. His mother says, "I hope that after surgery, my son will be able to play with his cousin and toys again and no longer have any pain." 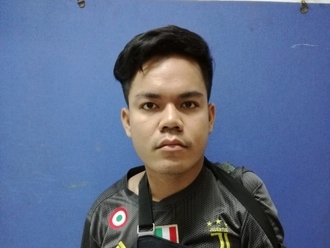 Seyah is a 19-year-old tuk tuk driver from Cambodia. He is from Kandal province and really likes listening to classical music and watching TV. One year ago, Seyha was in a motorcycle accident, injuring his right shoulder. He has been diagnosed with a brachial plexus injury on his right side. The brachial plexus is a nerve network that transmits signals from the spine to the shoulder, arm, and hand. Injuries to this nerve network can result in loss of function and sensation. He is unable to work and use his right arm. Seyah traveled to our medical partner's care center to receive treatment. On February 18, he will undergo a brachial plexus repair surgery. This surgery will allow Seyha to use the full movement of his arm again and he will be able to return to his work.. Our medical partner, Children's Surgical Centre, is requesting $637 to fund this procedure. He says, "After surgery, I hope that I can use my arm again and go back to work." Sokea is a 20-year-old rice farmer from Cambodia. He likes to play soccer, listen to music, and go for walks with friends in his free time. Five months ago, Sokea was in a motorcycle accident that caused him to injure his left arm. He has been diagnosed with a brachial plexus injury on his left side. The brachial plexus is a nerve network that transmits signals from the spine to the shoulder, arm, and hand. Injuries to this nerve network can result in loss of function and sensation. He is unable to work or play sports and has difficulty taking care of himself without help. Sokea traveled to our medical partner's care center to receive treatment. On February 7, he will undergo a brachial plexus repair surgery. After recovery, He will be able to use his arm again, allowing him to take care of himself on his own, play sports, and go back to work. Our medical partner, Children's Surgical Centre, is requesting $637 to fund this procedure. He says, "I hope that after surgery I will not have anymore pain and go about my work again." Pilivati is a grandfather from Malawi. He is a farmer. During his free time he enjoys chatting with friends and watching football. Since 2016, Pilivati has been experiencing pain and urinary difficulty. These symptoms are caused by an enlarged prostate, a condition called benign prostatic hyperplasia. He needs to undergo a prostate resection surgery, a procedure in which surgeons will remove part of the enlarged gland. Our medical partner, World Altering Medicine, is requesting $733 to fund Pilivati's surgery. On January 29, he will undergo prostate surgery at Nkhoma Hospital, our medical partner's care center. The requested money pays for supplies, medications, and two weeks of hospital stay. He says, "I am very thankful and supportive of the idea of assisting others." Oscar is a baby from Kenya. He lives with mother at his grandparents’ home in Kajiado. Oscar has been diagnosed with hydrocephalus, a condition in which excess cerebrospinal fluid accumulates in the brain and increases intracranial pressure. As a result of his condition, Oscar has been experiencing an increasing head circumference. Without treatment, Oscar will experience severe physical and developmental delays. Our medical partner, African Mission Healthcare Foundation, is requesting $685 to cover the cost of surgery for Oscar that will treat his hydrocephalus. The procedure is scheduled to take place on February 18 and will drain the excess fluid from Oscar's brain. This will reduce intracranial pressure and greatly improve his quality of life. With proper treatment, Oscar will hopefully develop into a strong, healthy young boy. “I am praying day and night for my first child to be okay,” says Oscar’s mother. 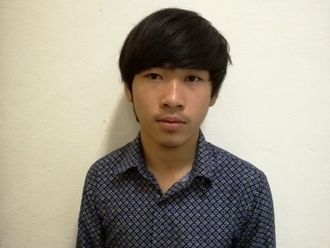 Min is a 22-year-old man from Burma. 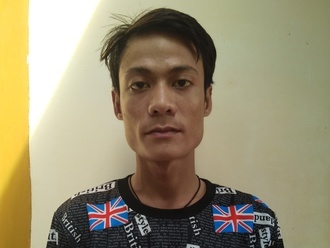 He lives with his parents, two brothers and three sisters in Hlaing Thar Yar Township, Yangon Division. In his free time, Min is interested in repairing sewing machines. Min was diagnosed with a heart condition that involves a malformation of the mitral valve, the valve between the left atrium and left ventricle. This valve controls the flow of blood, but certain conditions may cause blood to flow backward or the valve to narrow. Currently, he experiences chest pain, difficulty breathing, and heart palpitations. Furthermore, he cannot walk long distances and feels more tired when he is active. Our medical partner, Burma Children Medical Fund, is requesting $1,500 to fund a mitral valve replacement for Min. The treatment is scheduled to take place on January 9 and, once completed, will hopefully allow him to live more comfortably. Min says, "I do not like my current state of health because I cannot help my family. In the future I would like to become a sewing machine repair technician."